This week’s DN guest Beeple is a director who works across many areas of film, including live action, music promos and animation. For his latest piece Beeple decided to widen his skill set by adding 3D animation to his arsenal and a mere 5 months later completed the frankly impressive continuously rotating, isometric perspective piece Subprime. Watch as the American housing market spirals out of control. 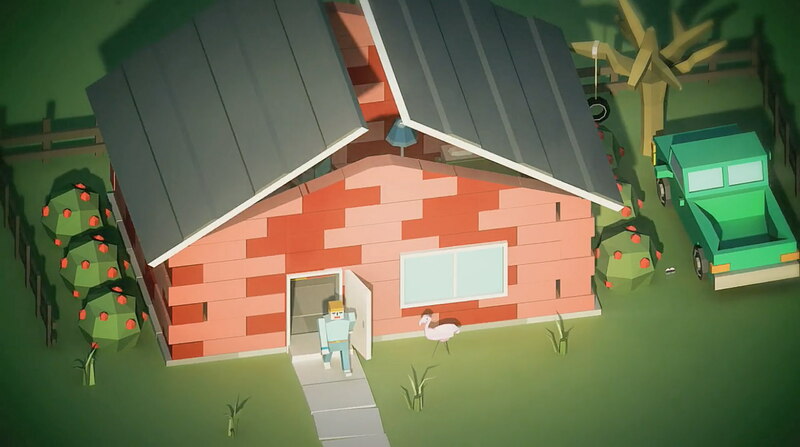 An urgent cry for simplicity, Subprime uses a constantly rotating isometric perspective to illustrate the current subprime mortgage crisis in the United States. Every successive house that is built folds into itself and sprouts the growth of a bigger one, only to repeat the ultimately futile process again. Great great interview! I’m glad I have a voice to attach to beeple! I look forward to more great interviews from DN, you have a fan. Glad you liked it, always happy to hear the interviews are hitting the spot. Good luck in the countdown to Australia.